Can you believe it’s been a fortnight since I chatted with Laurie Boris? Where does the time disappear? So, what’s been happening since then? The clocks went back an hour last weekend leaving us with shorter evenings and longer nights. Autumn is here – that’s ‘Fall’ to my friends on the other side of the Atlantic, and they have it right; I seem to spend half my spare time sweeping up dead leaves right now. Winter’s knocking at the door and I’ve filled the log store ready to set the fire, our only form of heating. I’m not a big fan of winter, but short of moving to the tropics, I’m stuck with it. So, let’s snuggle up for warmth and welcome today’s guest, who’s crossed the Channel for a chat, Jenny Harper. KJD: Welcome Jenny, thanks for coming all this way. How you doing? JH: Hi Kerry, I’m fine thanks. Getting over the ferry ride. KJD: Oh dear, was the crossing a little rough? JH: Not too bad. How are you? KJD: I’m great. 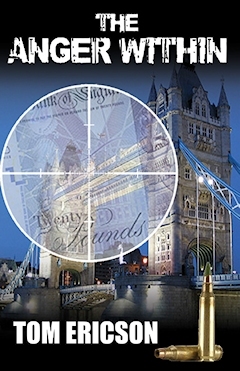 Nearly finished the third draft of my latest novel, The DCI Jones Casebook: Sean A Freeman. JH: Fantastic. It’s so exciting to reach that stage, isn’t it? What’s your friend, DCI Jones been getting up to? KJD: Aha! Nice one, Jenny. I can see you’re trying to deflect me away from the primary topic of this interview—you. I can see you’re going to be a tricky one to pin down. Let’s start with an easy question. What’s the best thing about your hometown? KJD: As I said, I’m going to have to watch out for you! JH: Seriously (I’ve never had one, honest), Edinburgh is a stunning city, on a par with any of the top historic towns in Europe. It has everything – history, architecture, views of hills and sea, culture (theatre, music, film, books, art) and great travel links. But best of all, it comprises a lot of wonderful small communities. KJD: Hey, that sounds great. I’ve never been to Edinburgh. I’ve heard about the Fringe and the Arts Festival – must pop over for a visit sometime when I can afford a new raincoat. I spent a week in Scotland for work back in 2002. It poured the whole time (tee hee). Sorry, couldn’t resist that one. Tell me what you see out of your studio window. JH: My garden. Rooftops and chimneys. The Braid Hills, which are covered in yellow gorse in the summer, and a lot of trees. My house was built in 1887 and is part of a terrace. The terrace is one third of a triangle of terraces. The back gardens all meet in the middle. Very suburban in a Victorian kind of way. KJD: Lovely, sounds rather tranquil for the middle of a capital city. Thanks for that, now, let’s get to know you a little better. JH: I hate questions like this! It’s like when someone asks me the best place to eat. We have 700 restaurants in this city, but my mind goes blank… Can I have a series, if it was printed small and bound into one great book? JH: If so, I’ll take the Lymond series by Dorothy Dunnett – the best historical novels ever written. They have everything: they are complicated, but page turning. They are amazingly evocative. Francis Crawford of Lymond is the hero to end all heroes. It’s a love story that spans six long books and crosses most of sixteenth-century Europe from Scotland to Russia by way of France, Germany, Turkey and Malta and more. Guess that would help prevent boredom! KJD: Okay, I’m normally very strict, but will allow you a compendium of titles wrapped into one volume, but it does mean you have no wriggle room later in the interview. JH: Darn. I wanted moisturiser. Can I cheat and have a solar-powered laptop, preferably with internet connection? There must be a satellite station above this desert island, surely? KJD: Hmmm, I’ll have to think about that one. Let’s see how the rest of the interview goes. Now let’s skip right to the technical stuff, which I’m sure all your readers are as interested in as I am. JH: Anything that grabs me and is well written. I love good ‘women’s fiction’, more literary books as long as they are great stories and aren’t pretentious, crime, thrillers… Variety is key, and I love good stories. Doesn’t matter what genre they are really. KJD: That’s a good range. I’m a little more restrictive in my reading choice, but let’s move on before I find myself in trouble. I’d like to discuss your writing next, if you don’t mind. KJD: What’s the first thing you do when starting a new novel? Do you research and write a detailed plot outline, or are you a pantser? JH: I’m a plotter. But I often tear the plot up or rewrite it as I go along. In my WIP (work in process), I’ve lost some over-complicated story lines and unnecessary characters, so the outline doesn’t make sense any more. At 30k, I’ve ditched it and simply listed the scenes that need to happen from here on in. KJD: That sounds pretty close to being a ‘pantser’ to me, and similar to the way I work. We have to be fluid in our writing, right? Okay, so what excites you about writing and the writing process? JH: I love it when the book starts to take off. I find the early stages excruciating. It can take me months to get the framework and characters right, but I have been known to write 34k words in less than five days. (It nearly killed me, but I didn’t delete much of it.) I love it when I find ways of drawing my clues and images on through the book. And I adore editing and polishing! KJD: To my rapier-like statistical mind (and with the help of the desk calculator), I worked out that’s an average of seven thousand words as day! Blimey, that’s going some, no wonder you were exhausted. Where did you find the inspiration for Maximum Exposure? What’s it about? How about a sneak preview? Come on, out with it! JH: I like to write about women who have real, demanding jobs, and typically the book starts at a moment of crisis. 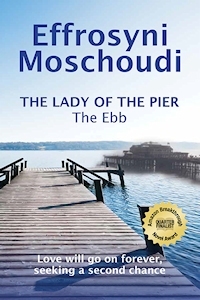 I’ve set Maximum Exposure in a newspaper office – and the heroine discovers the newspaper is under threat of closure. Outside the offices of The Hailesbank Herald, a late frost edged the cobbles with a white rime that glinted and sparkled in the thin early morning light. Daisy Irvine retrieved her camera kit from the boot of her antiquated mud-splattered Suzuki and fumbled for her office key in the depths of her bulky fleece. Being the youngest ever chief photographer at the local newspaper was an achievement she was really proud of, but early-morning call-outs were a definite downside to the job. She shoved the door open with her shoulder and the heat in the office slapped into her with a force that felt almost physical. She peeled off her jacket, swung her bags onto her desk, and registered that the editor was already in and flouting the law as usual by smoking a cigarette. She was just working out how to frame her request for a pay rise when she heard a strange moan. She looked up and saw Angus MacMorrow fall, straight as a newly felled tree, onto the shabby threadbare carpet of his smoke-filled lair. KJD: So, a smoker bites the carpet, eh? Love it! That’s the sort of opening I like. Excellent, thanks for sharing that. I’ll be putting the buy links at the bottom of this interview, so all you fans reading this can find the book easily. I wish you the best of luck with it, I really do. Back to you now, if there were a single thing you’d like to change about yourself, what would it be? JH: I sometimes say or do things I later regret. KJD: You and me both, Jenny. You and me both. What’s next in your life? JH: I keep trying to ease out of things so that I can have more time to write and to travel. It doesn’t seem to be happening. But life couldn’t be better – lots of interests, a beautiful home, lovely family, and a new publisher. If that’s what’s next as well, I’m happy! KJD: Wonderful. There aren’t enough people in the world happy with their life. We all envy you. JH: Secrets, eh? But I’m only interested in other people’s secrets! KJD: Darn it. You know that means the solar-powered laptop for the desert island is now off the table, right? It’s back to paper and pencils from now on. JH: I thought as much, but my lips are zipped. You’ll never drag any secrets out of me, no matter how many chocolate cakes you bribe me with. KJD:Oh dear. I can see that I’ve met my match. It’s been wonderful chatting with you Jenny, an absolute delight. Before we finish, do you have anything else you’d like to mention? When you arrived, you said something about having some news about tomorrow. JH: Thanks for reminding me. Would you mind if I put in a plug for a charity anthology that is coming out tomorrow? KJD: As it’s for charity, okay. Don’t ever let anybody say that I’m not charitable. JH: You are a darling. KJD: Oh hush, you’ll have me blushing. 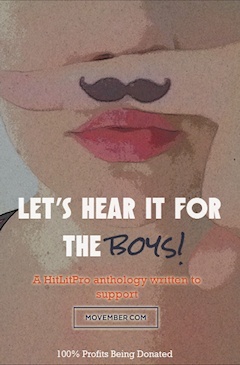 JH: I want to tell you about, Let’s Hear It For The Boys, a book of short stories and all sales are in aid of Movember (the men’s health charity). KJD: I’ve heard of Movember, but can you explain what it means to you and your feller? JH: Our Movember message? ‘Don’t die because you’re shy’. Robin (my husband) urges men to speak to their doctor about any health worries they might have, even if they think they are embarrassing. Movember is a great cause – and it’s also great that as writers we can do our little bit to help. You can check out the blurb below and click the cover to buy and support this great cause. KJD: I’m sold, it’s a fantastic movement. I’ll start growing my moustache tomorrow. Best of luck with the project and thanks millions for your time today. Mo Sistas, it’s time to step up . . .
Perhaps one of the men close to you (brother, husband, son, friend…) join in with the moustachioed adventure that happens every November. Around the world it’s the month that has literally changed its name, as the global organisation, Movember, leads the way in changing the face of men’s health. Let’s Hear It For The Boys is a tribute to the men of Movember. The HitLitPro authors have created these 9 short stories to celebrate the men in our lives, the effect they have on our hearts, our minds (and our bodies) and the difference they can make to the world around them. Jenny Harper lives in Edinburgh, Scotland, though she was born in India and grew up in England. She has been a non-fiction editor, a journalist and a businesswoman and has written a children’s novel and several books about Scotland. Her short story, ‘The Eighth Promise’ was published in March in the Mills & Boon anthology, Truly, Madly, Deeply. 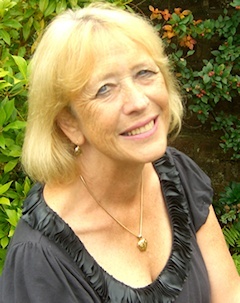 Jenny writes contemporary women’s fiction with bite – complex characters facing serious issues. 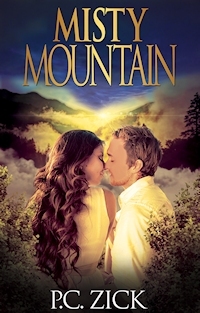 Face the Wind and Fly is about a woman wind farm engineer with a marriage in trouble and a controversial project to handle. Loving Susie is about a female politician with a complicated family history and at odds with the world. 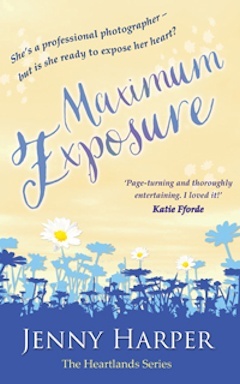 Her latest novel, Maximum Exposure, is about a newspaper photographer with job to save and some growing up to do. She’s a professional photographer – but is she ready to expose her heart? 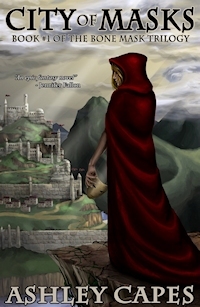 I’ll be posting the next Friday-Fortnight Interview on 14th November, and will feature Julie Frayn. Deep fried Mars bars? Nummy… Jenny do you do NaNo? At the pace of 34K words in 5 days, you’d be done in a week! Awesome. Don’t know about Jenny, but I don’t bother with NaNo because I don’t have a problem with motivation, I have other ‘challenges’. Julie, I don’t do NaNo. 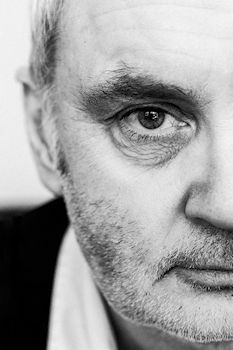 I can only write at that speed near the end of a novel – if I tried it too early, I fear most of the words would just be wasted! Good luck to you, though! Great interview – reads like ti was a lot of fun to do. Thanks Mary, we had a ball … and a chocolate cake, and loads of tea. Thanks Michaela, it’s going to be a doozie. I take my hat off to anyone who can make me sound fun! It was easy, Jenny – you did all the work.